Visiting a Publishing Company: Nelson Cengage – Melbourne. Visiting an Educational Publishing Company is eye opening. It’s quiet, calm, but you can feel the creativity ‘in the air’ and see it happening ‘within the walls’. There’s something special about a space where knowledge is sought and generated, visions become reality and creation takes place. PM is a strong trademark and performer, but publishing is about knowing about the ‘what’s next’ and that’s where a classroom teacher’s experience comes to play. We teachers are creators. We’ve been doing it for years. If we can’t find the resource of choice, we make it – we create it!’ Less is more’. It’s about pedagogy! Why would I still be thinking about Instructional Rounds while writing this? I now know that best practice is built upon the relationship between the teacher, student and content and the quality of the TASK. Great resources are essential, and I share them here, but it’s still the quality of practice, pedagogical understanding, and how a teacher uses a resource within the context of the task. It’s the strategies married to the resource, and the way the teacher puts their own stamp on it. I’ve written a lot about a strategy I promote because I know it works. I’ve provided evidence of improved learning gains and that’s what it’s about. PrepD Student Led Interactive Writing is my adaptation on an existing strategy. Something I’ve been developing for three years, and considering how powerful this strategy is there is very little written about the teacher led version. Searching Student Led Interactive Writing is interesting. Take a look! At Nelson-Cengage I met Christine Mann, the Marketing Manager ( Primary), Rebecca Henson- Publishing Editor (Primary) and Simone Calderwood – Publishing Editor (Primary). Meeting people involved with publishing was great. I’m always looking for inspiration, and I certainly found the experience beneficial. 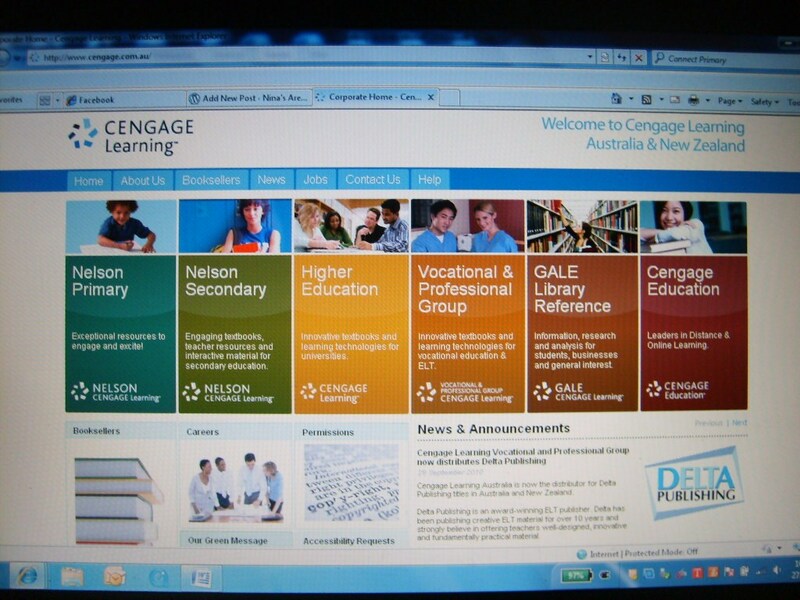 I’d like to take the opportunity here to thank Nelson- Cengage… and I enjoyed my lunch. We’re back at school next week in Victoria, Australia. A new year full of new challenges!